This Christmas season, you may have plans to help your children buy a home in the coming year by giving them some assistance with their down payment. Mark Wells of Preferred Financial Services discusses the various rules involving gifts, and answers questions about how this can be done to meet lending guidelines. Do all mortgage programs allow gifts to be used for down payment? They all do, however, they differ in how the gift funds can be applied and used. Are there any “universal” gift rules that apply to all loan programs? The only rule common to all loan programs is this: If you give your children a gift to be used as down payment at least 60 days before they APPLY for their mortgage loan, the money given is no longer considered a gift, but is considered their own “saved” funds. This greatly simplifies the mortgage process. I don’t really know how much they will need, so I can’t really give them money ahead of time. How do I handle the gift if they have already started their mortgage process? All programs require that gifted funds be traced from the giver, into the buyer’s account. They also require proof that the giver had the capacity to give. So in every case, the following items must be documented by a paper trail: a) a gift letter signed by the giver, stating the amount they intend to give; b) a copy of the check written to the child (or a copy of the outgoing wire transfer from the giver’s account); c) an updated 30-day bank statement from the child showing the funds have been credited to their account; d) a 30-day bank statement from the giver, showing they had the funds in hand to give to the child. 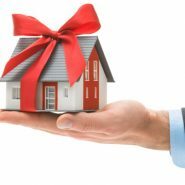 If mortgage programs have different rules about gifts, what are those rules and how do I plan for them? Conventional loan guidelines for gifted down payment used to require the purchaser to have at least 5 percent of their own saved-and-earned funds available for down payment. 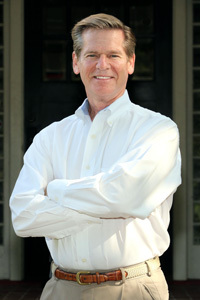 However, Fannie Mae and Freddie Mac ended that requirement, and now allow all of the down payment to come from a gift. For FHA, VA, and USDA loans, there never were any restrictions, and technically, the entire down payment can be gifted. However, it has been our experience that FHA’s automated underwriting system will distinguish gifted down payment as a ‘higher risk component’ and can often turn a loan down for a borrower with marginal credit scores if the borrower is not using their own saved-and-earned funds as down payment. My children already have their down payment but I want to help them with closing costs. Is that allowed? Under all programs, including conventional programs, you are allowed to give a gift for closing costs with no restrictions on the amount you give, and no requirement that the buyer have their own funds to use for closing costs. Are there tax consequences to my gift that I need to consider? There can be. However, gifted funds for a home purchase fall under the standard IRS guidelines for any gift given to a child. For 2017, $14,000 can be gifted per child per year, (your child’s spouse can be considered another “child,” so $28,000 for a married couple), with an exclusion from any federal taxes needing to be paid on the gift. Beyond that, additional amounts can be sheltered from federal taxes by the use of a “Pre-Estate Distribution.” See your CPA or tax preparer for details on how this works. I welcome questions and comments, and can help you decide which mortgage loan program is best for your child to use, so that you can plan your gift giving ahead of time. I can be reached at 864-235-9596 or via email at Mark@TheGreatestRates.com.